Here at Magoosh, we’ve covered a lot of colleges. We’ve written about a lot of top programs. But with California Institute of Technology (Caltech), the standard language to describe how awesome schools are just isn’t enough. Consistently named one of the top ten universities in the world, Caltech’s alumni include numerous Nobel Laureates, winners of national and international accolades, and the highest percentage of graduates of any U.S. institution that go on to get doctorates. Caltech isn’t for everyone—but if that sounds tempting, read on for everything you need to know about how to get into Caltech: Caltech SAT scores, Caltech ACT scores, and Caltech admissions. Before we do a deep dive into everything you need to know about how to get into Caltech, here are the basic Caltech admissions stats at a glance. If you’re thinking about applying to Caltech, you’re probably prepared to work pretty hard on the SAT or ACT. If you haven’t seen the average scores, though, hold onto your seats…Caltech SAT scores are pretty much perfection. What does this tell us about Caltech SAT scores? First of all, Math is ever-so-slightly more important to Caltech admissions than Evidence-Based Reading and Writing is. But really, only a tiny bit more. 75% of Caltech students score a 780 or higher on SAT Math, while 75% score a 750 or higher in Evidence-Based Reading and Writing. In both cases, we’re still looking at stratospheric scores. Is it worth retaking the SAT if your scores don’t fall into the Caltech SAT scores range? If Caltech’s your top-choice school, the answer is “almost definitely.” This is particularly true if you scored below a 780 in Math. Ideally, you’d have scores in the upper 700s in both sections, though. Getting these kinds of scores takes lots of preparation. 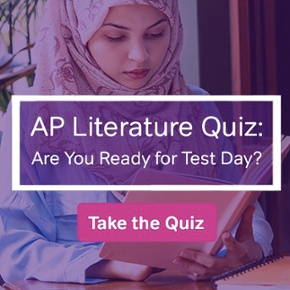 Most students find that they’ll get their best SAT scores by taking the exam more than once; just make sure that you’re using the best materials you can find and putting in the time to continually evaluate how your study plan’s working. Coming down from the shock of Caltech SAT scores? Take a deep breath, because Caltech’s ACT scores are just as competitive. Similar to Caltech’s SAT scores, Caltech’s ACT scores are at the very top of the scoring range. 75% of Caltech students scored a 35 or 36 in ACT Math, while 75% scored a 34, 35, or 36 in ACT English. So again, what we’re looking at here is a situation in which you want to get as close to a perfect score as possible. For almost all students, this will mean taking the exams more than once, with a solid preparation plan. Don’t get down on yourself if you don’t achieve a perfect score the first time around; hardly anyone does! But with time and effort, you may still be able to achieve a score within the Caltech ACT scores range. Given the scores we’ve looked at so far, it’s not going to be a huge surprise to learn that Caltech’s admissions rate is low…really low. The school admits only 8% of applicants. They have a very small student body (with entering freshman classes of around 230 students) and are among the most selective colleges in the nation. One thing to keep in mind as you apply to selective schools is that the applicant pool is already somewhat self-selecting: students don’t want to waste time and money applying to colleges that they have low chances of getting into. So how can you distinguish yourself in the very competitive Caltech applicant pile and become part of that 8%? Ashley C. of Transizion points out, “To make the cut, you’ll need exceptional aptitude for and interest in science, engineering, and technology.” More than that, though, you’ll have to demonstrate your aptitude and interest in these areas (commonly known as STEM subjects). Techers are gifted in math and science, so focus on earning high test scores in these areas. If your test scores aren’t up to scratch, highlight your math and science abilities in other portions of the application. If you’ve completed research or taken courses outside of school, be sure to include these experiences in your application as well. Caltech welcomes supplementary materials such as a research paper you’ve completed or an additional evaluation from a research mentor. Beyond simply excelling in math and science, students who receive acceptance letters from Caltech love these subjects. Let this passion shine through in your short answers and essays. Because Caltech is so selective, the written portion of the application is vital. Take your time and show the admissions team who you are and why you’d be a great fit. Test scores aren’t the only way to make your Caltech application stand out. Your GPA is also a vital part of your application. While Caltech doesn’t release the GPAs of admitted students, the test scores and admissions rate indicate that the average GPA is likely to be above 4.0, as most students will have taken some AP or other advanced-level courses weighted out of 5.0. Those stats can be a little scary to look at. If your GPA or test scores aren’t within Caltech’s ranges, how to get into Caltech? Is it even possible? Sure! But your application should really shine in other areas. Ashley of Transizion explains that “Science, math, and technology should be the ‘theme’ or ‘story’ of your Caltech application.” In other words, both your essays and letters of recommendation should help you tell this story. Other than being ridiculously smart and high-scoring on tests, what distinguishes Caltech freshman? This past year, 46% of the entering class was comprised of women, with the remaining students identifying as male. 16% of students were from what Caltech admissions deems “underrepresented ancestry,” while 9% of students were international. Ready to be really impressed? 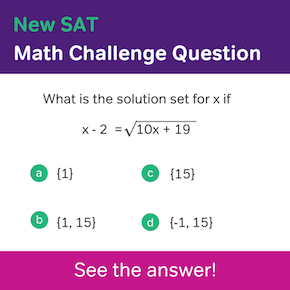 At least 75% of students who took the SAT Math Level 2 exam scored an 800 on it. Wow. But Caltech students aren’t just about academics. Members of the class of 2021 also play ice hockey, run a fashion business, do stand-up comedy, play the bugle, and take part in tons of other unique activities. 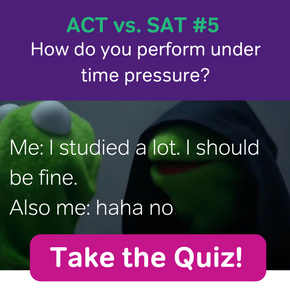 So even if your test scores aren’t quite in the Caltech SAT scores or Caltech ACT scores range…whatever you love, make sure to let Caltech know! It’s ranked pretty high. U.S. News & World Report has Caltech’s most recent ranking at #12 in National Universities. Is Caltech an Ivy League school? Can you transfer to Caltech? How to get into Caltech? You’ll need top-notch everything, from grades to letters of recommendation. Aim for a GPA of above 4.0 to reach the Caltech GPA average. Make sure your test scores are at the very top end of the scale, within the middle 50% of Caltech SAT scores or Caltech ACT scores. To make sure your scores are competitive for Caltech, study with Magoosh! We guarantee at least a 100-point increase for the SAT and at least a 4-point increase for the ACT or your money back! And perhaps most importantly, make your passion for STEM subjects come through clearly in your application! Though it’s not easy to become a Caltech student, the rewarding education students receive more than makes up for the intense admissions process. Good luck!